Do you hide your smile because of spaces? Do you lack faith in the stability of your dentures? Do you have difficulty in chewing? Dental implants are so natural looking and feeling, you may forget you ever lost a tooth. Implants from £1800 (or £60 per month), including implant placement under surgically sterile conditions, disposables, cover screw, abutment and final crown. Implants are alternatives to complex restorative treatment on your natural tooth such as conventional bridges, and dentures. 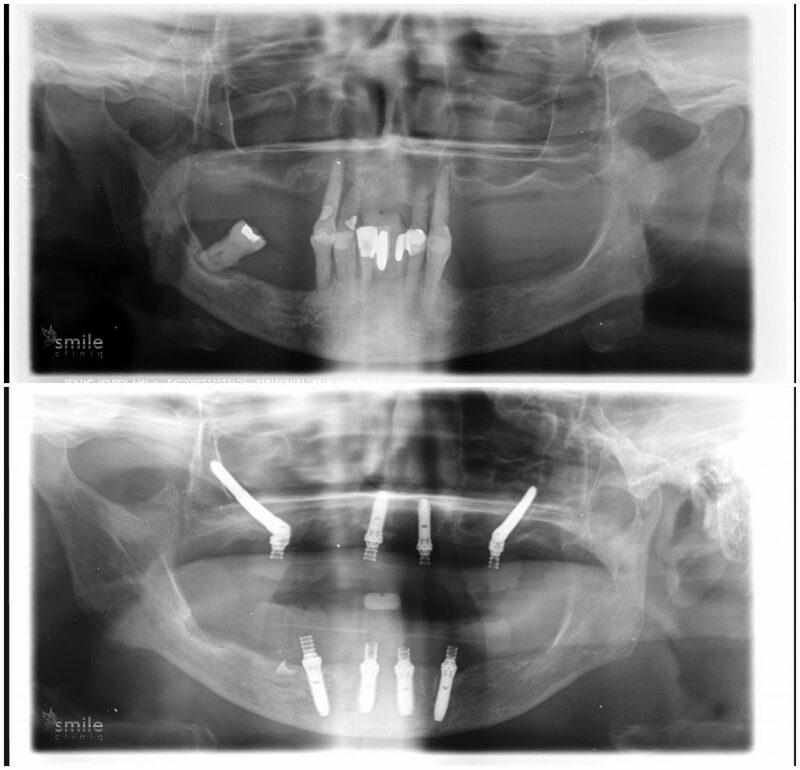 Constructed of Titanium an implant is placed into your jaw bone. Implants are safe, non-toxic, and biocompatible. Your bone will grow around the implant and osseo-integrate to the fixture. First tried over 30 years ago, dental implants have evolved to provide a treatment option with 95% success rate over 10 years. Now considered the Number 1 option to replace a missing tooth, implant based treatment is the future of replacing gaps. Use of implants and osseo-integration has been well documented for nearly 30 years. This treatment option is backed by a multitude of scientific literature and clinical experience. 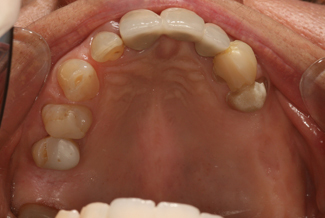 Support a bridge and eliminate the need for a removable denture. Provide support and retention for a denture. 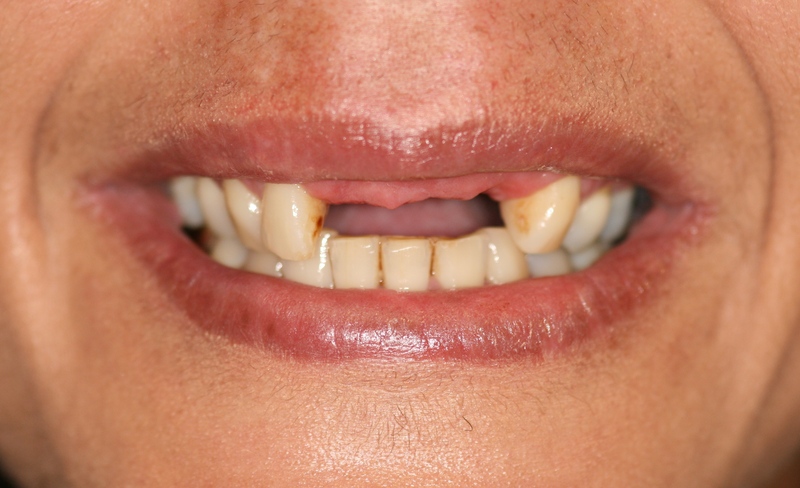 The exciting prospect for many patients is to finally discard their dentures or avoid them totally. 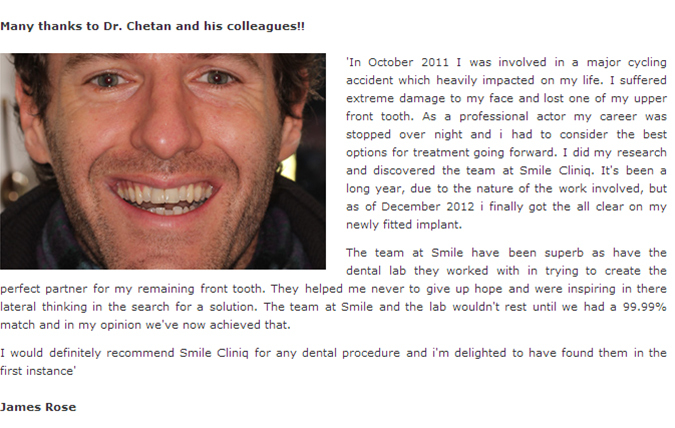 Initial consultation, assessment and planning will occur with one of our dentists. The options appropriate to your case will be thoroughly discussed with you. Preoperative pictures and tooth shade maybe taken. Impressions maybe taken to allow our ceramist to provide a diagnostic wax up, this will physically allow you to visualise and approve the intended outcome. You may require specialised imaging in the form of computerised tomography (CT scan). This will allow your Dentist to have a 3D reconstruction of your jaws, allowing better planning for the best outcome. If there is insufficient quality and quantity of bone to place your implant into, osseo-integration will be compromised. As this is key to success you may require a bone augmentation procedure to allow your implant to have optimal status (see below). Your dentist will discuss all of these eventualities and possibilities in the initial stages. 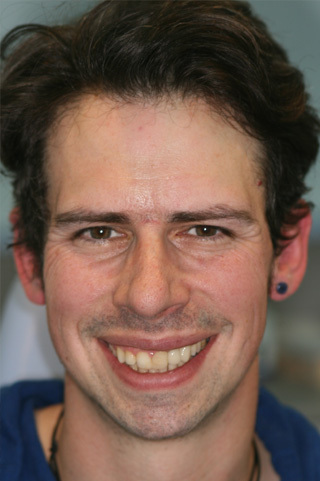 The placement of a single implant is a relatively straight forward procedure and routinely carried out under local anaesthetic, many patients report that it is easier than having a tooth extracted. 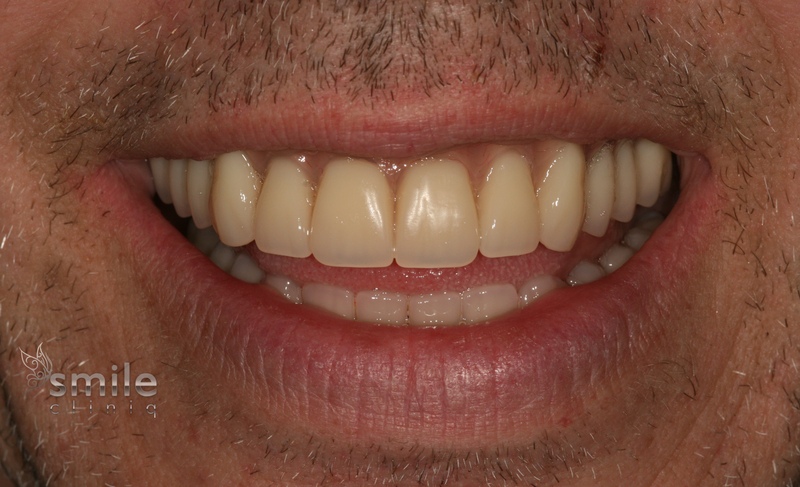 In the interim period you may be provided with a provisional restoration of the highest calibre and aesthetics. 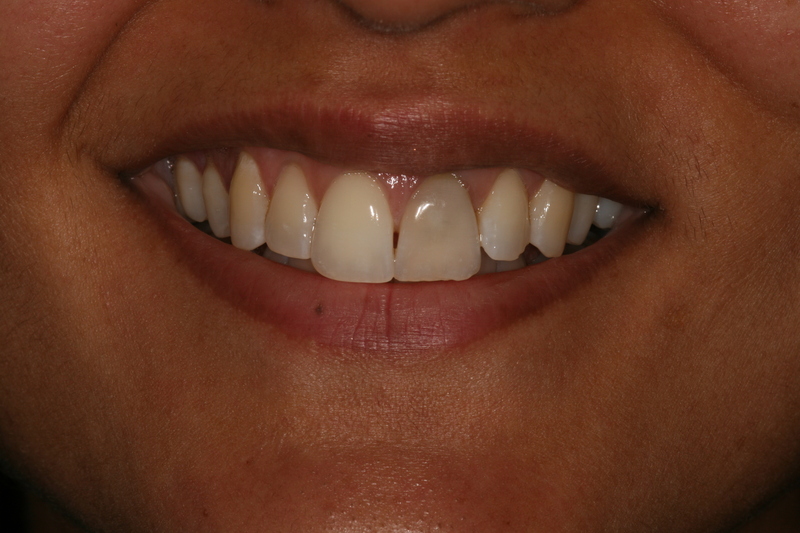 Many implant procedures require a second stage, once osseo-integration has occurred. Carried out under local anaesthetic the buried implant is uncovered, and impressions taken. These are sent to our Smile Cliniq ceramist who will hand craft your aesthetic crown or bridge. In the interim period you may be provided with a provisional restoration. 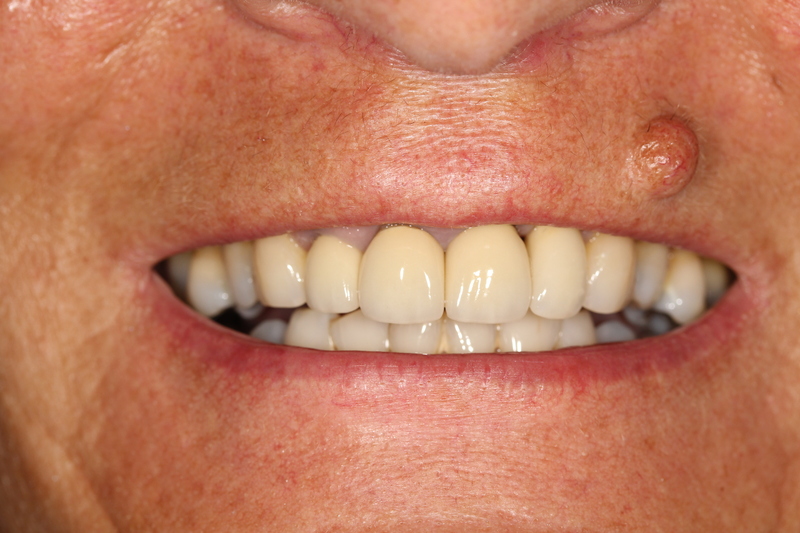 At your next visit the provisional restoration (if present) is carefully removed, and your custom made crown or bridge is tried in, if you are happy with the fit and appearance, your Dentist will cement or screw in the restoration to the implant. There are 100’s different implant systems currently in use. Only a handful of these implant systems have any substantial evidence in the dental research literature to back their use, and even fewer implant systems have any substantial long-term follow up evidence to support their use on patients. We use high quality implants from Biomet 3i and Implants Direct. There are many alternative cheaper types of implants available in the market but as we do not have the long term research to back their performance, we at Smile Cliniq do not think is justifiable to provide them to our patients even if they are cheaper for both the patients and dentist. Also by using the best dental implants from one of the major implant companies, we ensure that in years to come if the patient’s implant needs any maintenance such as a new screw or an abutment, the company is likely to still be in business to supply the parts needed. 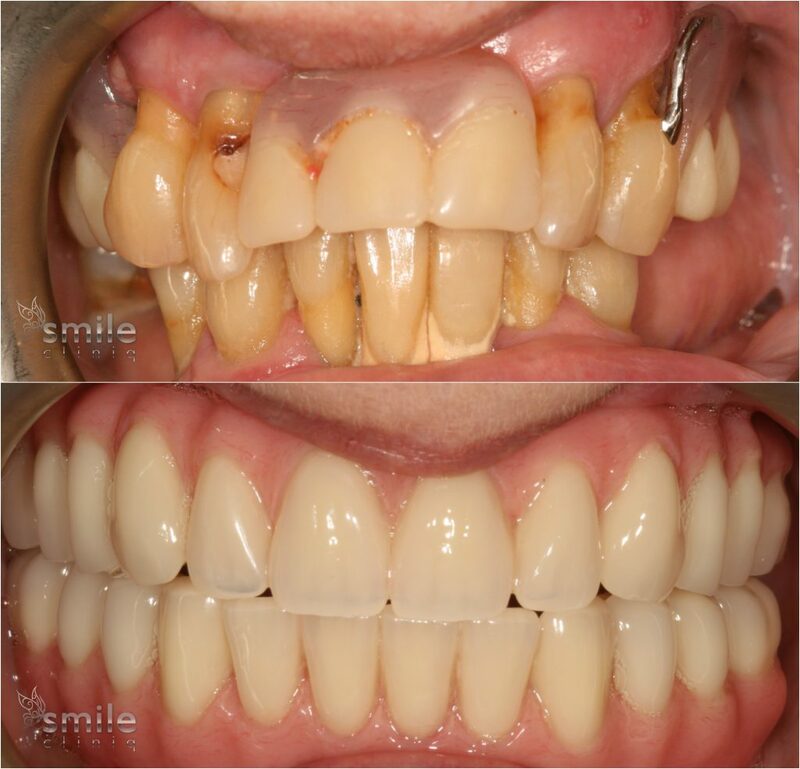 Implant treatments at Smile Cliniq are performed by Dr Kaher, Dr McLellan and Dr Chasioti. All with certified post graduate training in the placement of implants. Together, they have the combined experience of placing thousands of implants. The procedure is performed in a surgically sterile environment where the surgery is disinfected and set out in a similar manner to a hospital environment. Clinicians are also scrubbed up, similar to a surgical procedure in a hospital. This is important as it reduces ambient bacterial levels and hence reduces the chances of implant failure. Please note: all implant placements at Smile Cliniq are carried out under surgical conditions there is no extra charge for this. The Biomet implant is the third largest implant company in the world, and an impressive amount of extensive research (over 100 scientific publications) has been put into producing the implant. The T3 & Osseotite® Implant by Biomet features their acid etched surface which has been proven to encourage bone cells to grow around the implant. 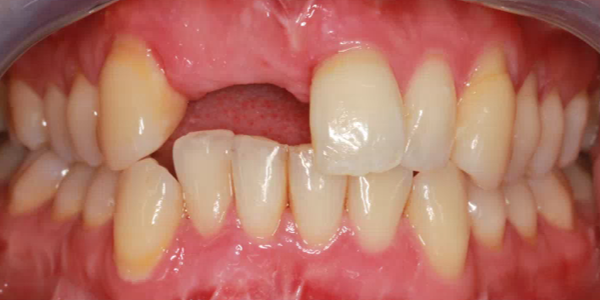 It also allows platform switching, producing much better soft tissue results once the final restoration is placed. Nevertheless, both implants systems have a proven high success rate. Implants are made from titanium and are extremely strong, and once successfully placed, should last for many many years. Indeed Implants have now been in place in some patients for over 30 years. Titanium has been found to be biologically inert and is harmonious in the human body. Megagen Implants are a 21st century premium implant system with a revolutionary design that allows for maximum bone preservation around implants. 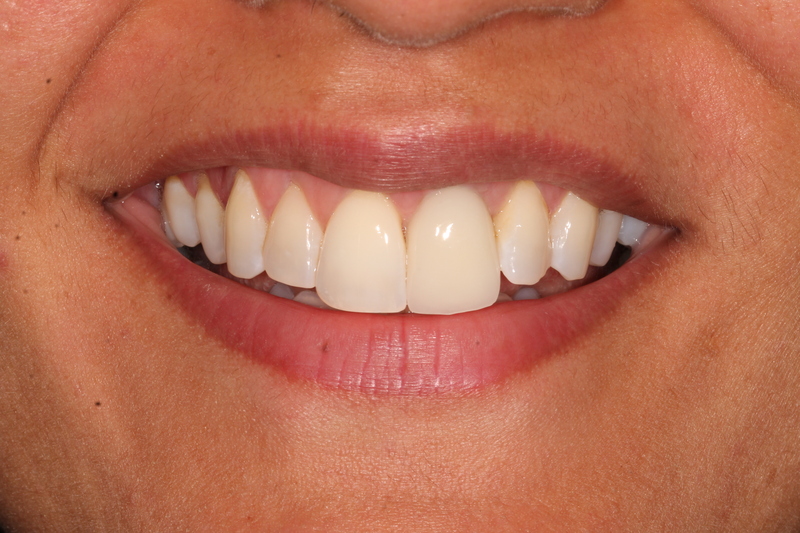 Beyond bone integration, these implants can also assure a beautiful gum line. They can be used for single tooth implants or multiple teeth implantation. 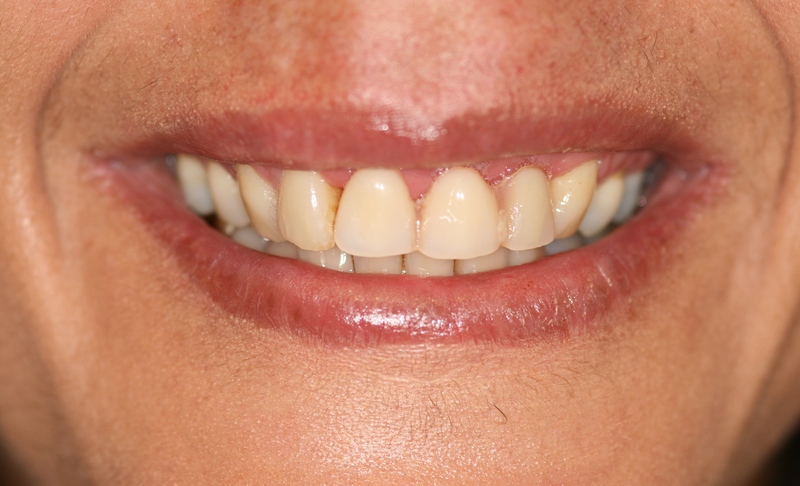 Smile Cliniq London provides an outstanding service providing these different types of implants. OSSTEM has developed a variety of implant systems to ensure the highest standard of quality for all aesthetic results. Although the placement of an implant may seem daunting to some, it is actually much easier to carry out than some tooth extractions, and the patient is always completely numb so that they do not feel any pain during treatment. We use highest quality instruments as well as thoroughly researched, tried and tested materials, techniques and equipment to ensure our patients receive the best treatment possible. For your peace of mind, all of our dental implant treatments are covered by our 12 months guarantee. For a small additional fee, you can extend your implant warranty with a reputable insurance provider. If you follow our implant maintenance advice, your new dental implant should last for many years. We provide 0% and low interest finance options on all implant treatments allowing you to spread the cost of treatment over a period that suits you. For those patients that suffer from dental anxiety, we offer Conscious IV Sedation to help you feel more relaxed during treatment. 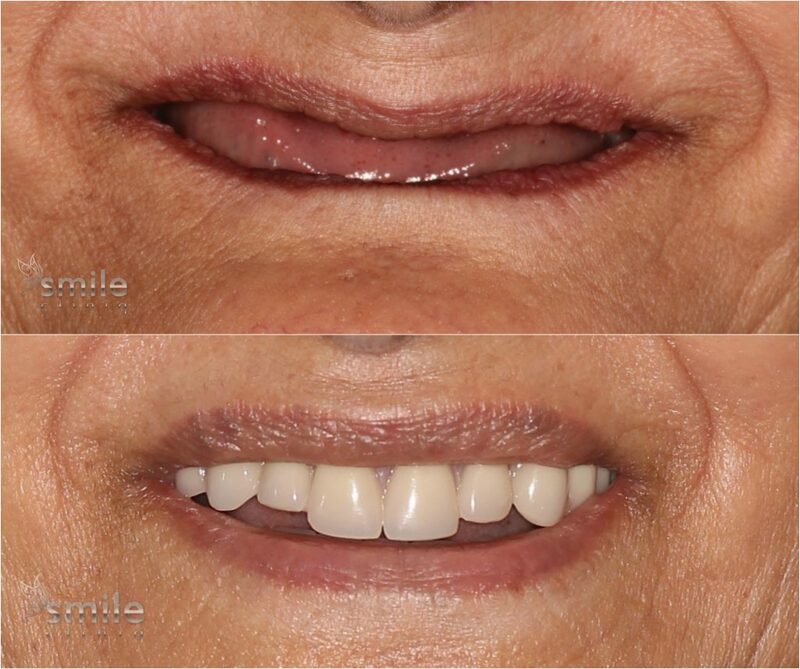 The variety of implants provided at Smile Cliniq London ensure we can tailor the best implant system to your individual needs and requirements. All aspects will be discussed upon consultation with one of our experts. You will be invited to return a few weeks after provision of the definitive restoration to review your oral health status, condition of the implant and restoration as well as to get feed back on the cosmetic result. An implant does not suffer from dental decay but it is still very important to employ a strict oral hygiene regime encompassing professional hygiene intervention. You will be shown the most appropriate method to ensure optimal oral health. 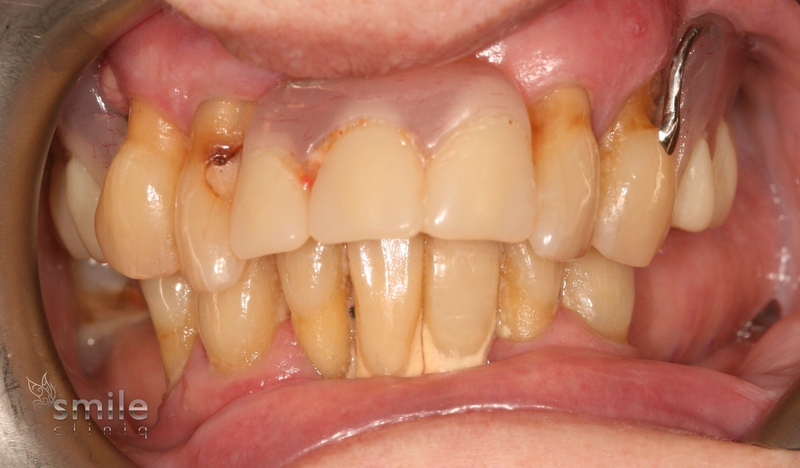 As with any dental intervention, regular recall and review is essential to ensure the status of your implant. Failure of implants can be due to peri-implantitis (inflammation of the tissues surrounding the implants) hence regular hygiene and assessment is required to ensure optimum health and durability of the implant. In certain cases when a dental implant is prescribed, it is necessary to build up bone in the implant site to ensure success. 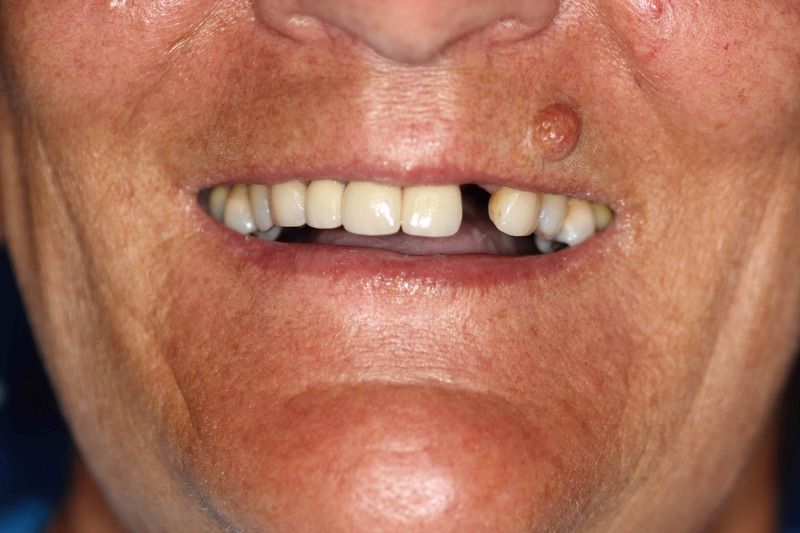 This is generically known as Bone Grafting. 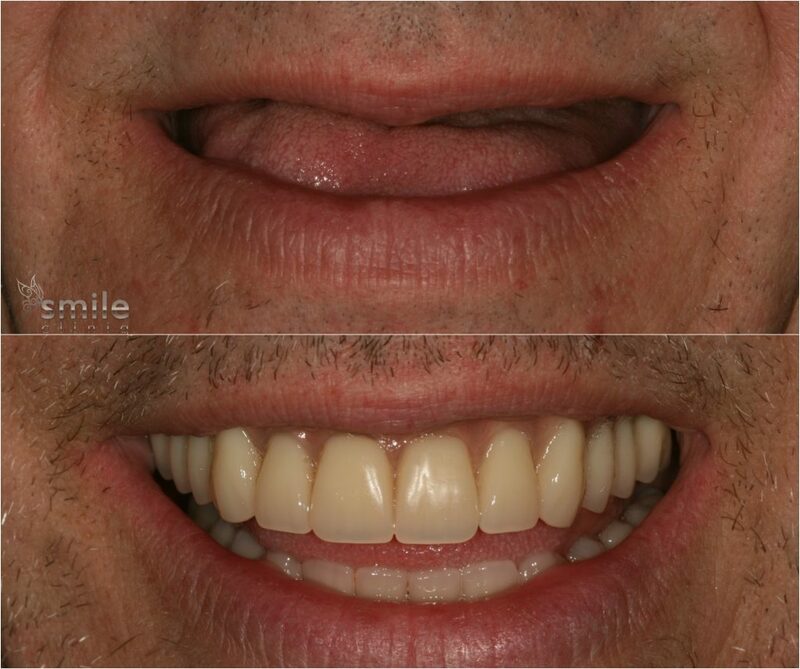 The techniques used by Smile Cliniq are well documented and will be discussed with you from the initial consultation if required. 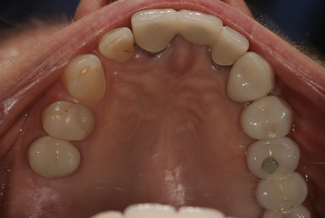 Bone grafting allows your Dentist to increase the height and width of bone, and even fill voids. The bone we use is taken from other areas of your mouth or an artificial bone substitute is used. Geistlich Bio-Oss® is a leading bone substitute for regenerative dentistry. The Bio-Oss® bone is made from the mineral part of bovine bone and its particles are incorporated over time within the living bone which provides long-term volume preservation. An alternative artificial bone that we use is EthOss which is a also a leader in Bone Grafting Technology. EthOss® is an entirely synthetic material with a build in membrane, which removes the need for additional collagen membranes and produces an outstanding clinical result and is being used by dental implantologists across the world. In the posterior upper jaw, we have a maxillary sinus. When we have missing teeth this area, the bone may be thin. When this occurs there may not be enough bone for the implant to be placed. In this case, we may opt to lift the sinus up and place bone (either your own or artificial) underneath it and then put the implant into this. Your Dentist may inform you that a bone graft is not required, instead opting for a sinus lift in the upper jaw. The maxillary sinus is a hollow cavity designed to make your head lighter. As we age our sinuses enlarge. 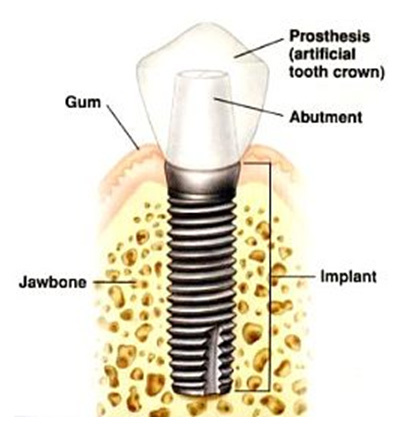 If an implant was placed without appropriate planning it would not have optimal bone support. A sinus lift procedure is designed to raise the floor of the sinus, thus allowing your dentist to place your implant into solid bone, not disturbing the sinus. 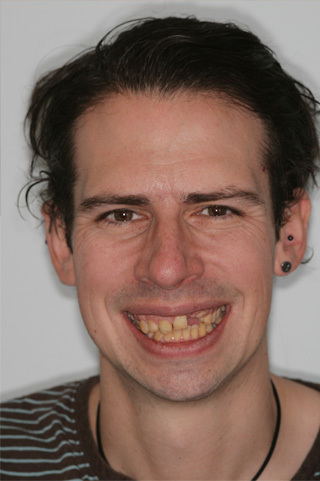 Smile Cliniq’s dentists aim to provide the most aesthetic and functional restoration possible whilst at all times aiming to provide maximum longevity. Cases that are advanced in nature will need further planning and investigation. A CT scan may be required, this will allow your dentist to visualise your jaws in 3 dimensions. The CT scan provides ultimate control over planning and placement of implants. The scan will accurately allow the specific size, type, and angulation of the implant(s) to be planned before your procedure even takes place. A surgical stent may be manufactured from this 3D computerised model, which acts as a specific guide for placement of your implant thus significantly reducing the possibility of operator error. we offer Conscious IV Sedation to help you feel more relaxed during treatment. 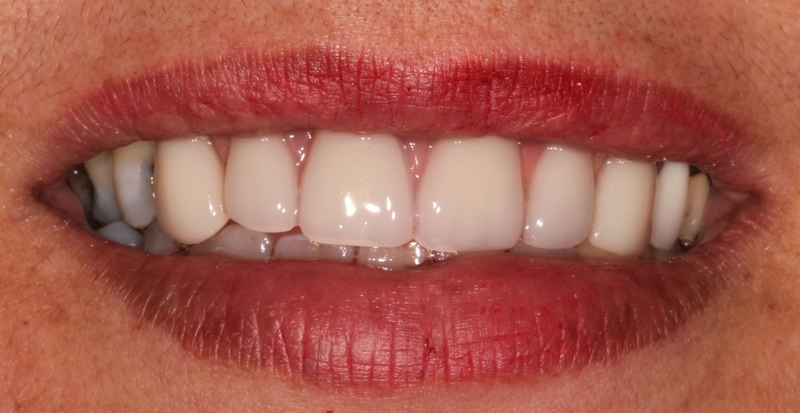 "You will be offered a temporary abutment and temporary crown for implants in the cosmetic zone, in order to achieve the best gum shape around your implant." "You will be informed if you suffer from bone loss at the implant site and advised to have bone grafting in order to prevent the cosmetic and functional failure of the implant." "We will provide you with a full written treatment plan and costing's at your consultation visit without any added hidden costs once treatment starts." "You will be told if you have gum disease and advised to have gum disease treated before any implant treatment is started to minimize the risk of implant loss through peri-implantitis in future." "Implant treatment will be carried out under full sterile theatre conditions with disposable surgical gowns and bibs worn by yourself and the surgical staff around you in order to minimize the risk of bone infection." "If the Implant is going to be placed close to the Maxillary sinus, we are able to carry out sinus lift or sinus tap procedures where necessary in order to avoid damaging the lining of the sinus." "If the implant is going to be placed close to a nerve supply, we will take radiographs during the implant placement procedure and do everything possible to avoid damaging that nerve supply." "You will only be provided with implants that have been fully tested and have years of research and development behind them rather than a newer cheaper alternative with no clinical history"
"For the front of the mouth, you will be offered to attend a cosmetic laboratory to have the most accurate shade and shape taken for your final implant crown." 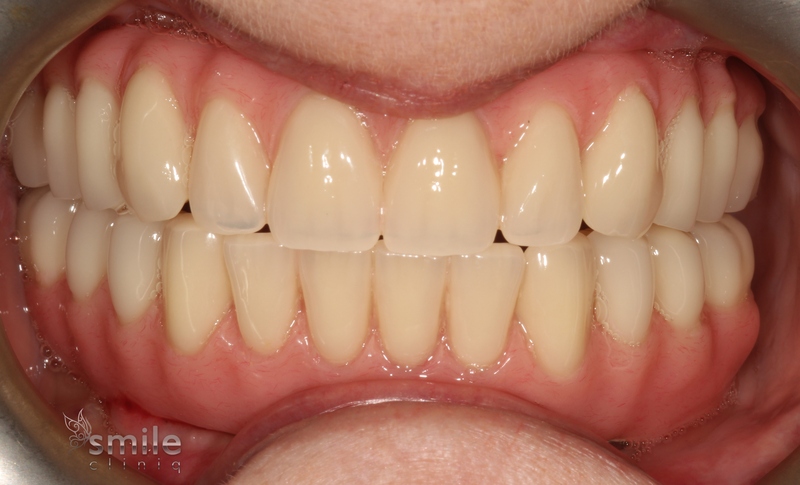 "We promise not to rush your treatment by loading your implant with a crown too early and allow enough time for adequate implant-bone osseo-integration to take place before loading in order to achieve the best long term implant success." "For a genuine Implant guarantee, you will be given the option to insure your dental implant against failure with a reputable implant insurance provider."